With their moisturizing ingredients, lots of BB and CC creams can turn greasy in summer heat and humidity–especially on oily skin. 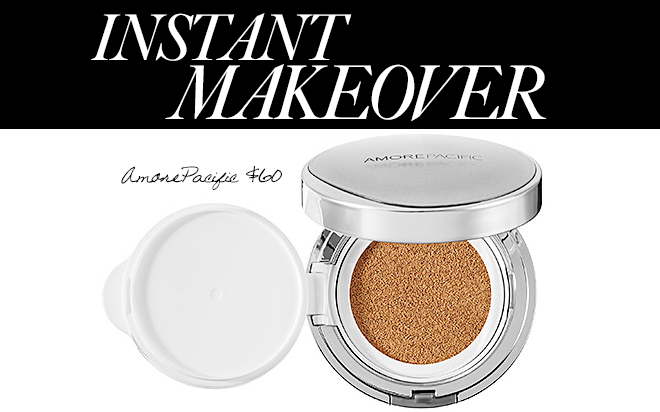 Amorepacific’s Color Control Cushion Compact Broad Spectrum SPF 50+ ($60, sephora.com) not only has a lightweight liquid formula, but its unique delivery system lets you apply just enough coverage in even, smooth layers. Instead of housing its tint in a tube, this CC has a spongy surface soaked in product, which applies easily with the included non-absorbent puff. I love the way the buildable, antioxidant green tea enhanced formula smooths over pores and fine lines, and since it’s so light, it stays semi-matte for hours and doesn’t turn into a muddy mess like a foundation would. Plus, it feels cool when I put it on–even in my steamy Brooklyn apartment bathroom.